Here are two types of benefits I can receive from a Georgia workers compensation case. If you are injured on the job, they are entitled to certain benefits by Georgia law. If your injury prevents you from working all together or if your injury causes you to work fewer hours, you will be entitled to receive indemnity benefits. Temporary Total disabilities (TTD) are paid to you if you are totally disabled from working and you have been out of work for at least seven days. Your authorized treating physician must deem you to be disabled from working in order to obtain these benefits. The amount of your weekly TTD benefits is dependent upon your pre injury income. In the state of Georgia, you are entitled to receive 2/3 (66.66%) of your average weekly wage. 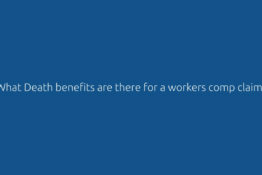 TTD benefits are paid to injured workers to help support them while they are disabled from working. Some injured workers continue working after their date of their accident, if you have a work accident and earning less because of your injuries, you may be entitled to Temporary Partial Disability (TPD) Benefits which are designed to augment your lowered earnings. TPD benefits are calculated as 2/3 (66.66%) of the reduction of your average weekly wages as compared to your earnings prior to your injury. For instance, if you were working 40 hours a week and made 14$ an hour before you were injured and after your injury are working 20 hours a week than you would be entitled to 66.66% of the 20 hr. difference. Workers Compensation is a complex system. An experienced attorney will help you guide through to ensure your rights are being protected. If you have questions or concerns, visit our website or contact us today to discuss your case for free. To get started, call our firm, the Law Offices of John Morrison, LLC, and speak to a member of our car accident legal team. You can use our contact form on our website, or call 770-951-8900 and schedule a free case evaluation. What Death Benefits are there for a Georgia workers compensation claim? Is an injured worker entitled for out-of-pocket expenses? What is an IME (independent medical examination)? Can I receive compensation for my Pain and Suffering for my Georgia Workers Compensation Claim? What do I do after an on the job injury?